Join the Writers and Authors Pin Party! 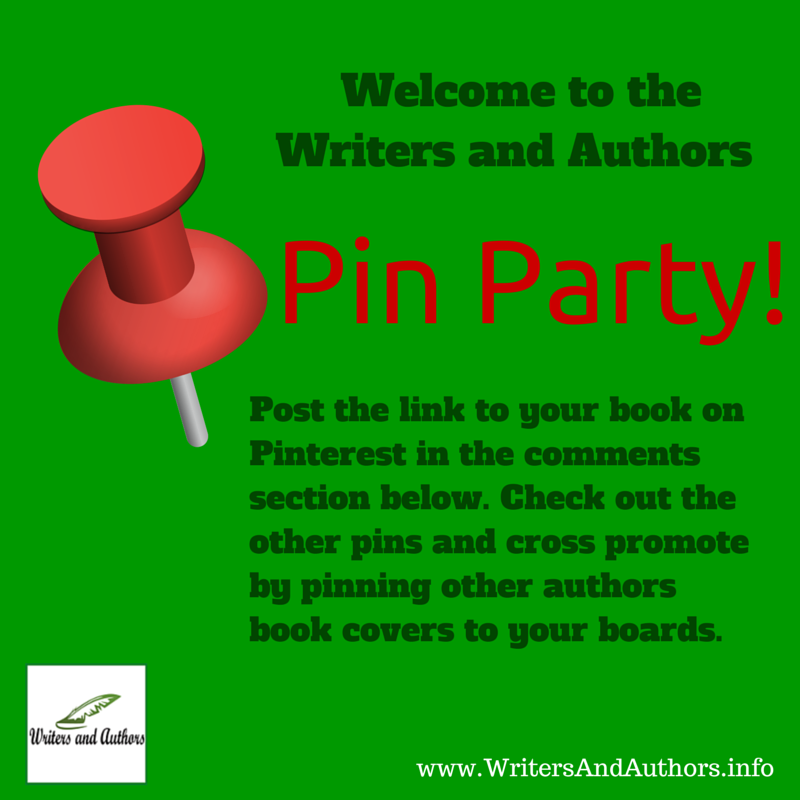 Welcome to the Writers and Authors Pin Party! Visual content is big news and Pinterest is one of the fastest growing social media sites on the web. It's not just about pinning pictures you like though. There is much more to it than that. It's also a great place for book marketing and author branding, for connecting with your audience, and for growing your network. Today were going to be cross promoting each others books on Pinterest. To join in the Pin Party just post the direct url to the pin you want shared, e.g. your pin to your books sales page, in the linky below. 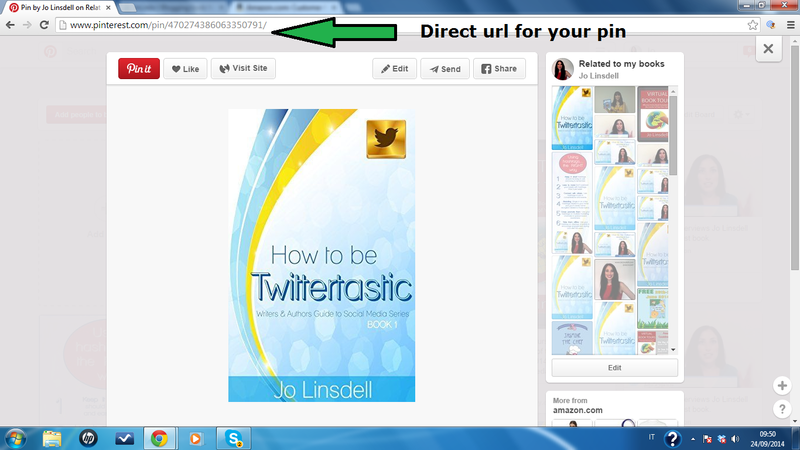 Everyone taking part will then go through the linky and pin each others links to one of their boards on Pinterest. Not sure how to pin your sales page? Amazon makes it super easy. On the right side of your screen you'll find social share buttons just below the info about the free reading apps. 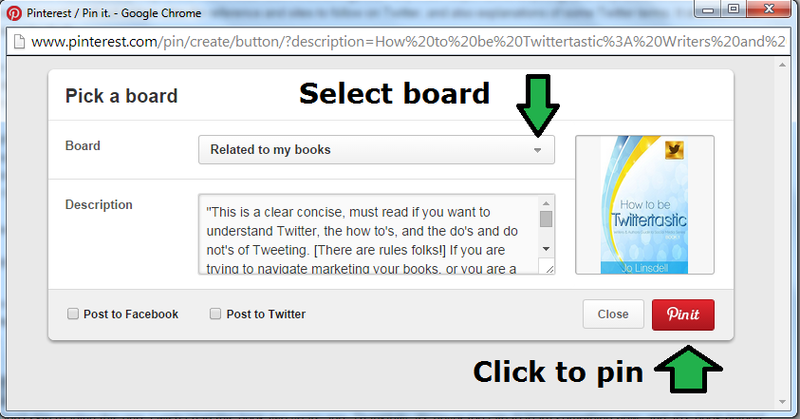 A pop window will come up where you can then select the board you want to pin to. Select a board and pin. How do you find the direct url for your pin? Again, super easy. Just go to your Pinterest board and click on the pin you want to add to the linky. The url at the top of the page is the direct url to that pin. Great opportunity Jo. Thank you for the clear, helpful instructions. I noticed my name came up instead of the title of my picture book, so I guess I made a mistake. Is it possible to fix it? No problem. Will edit it for you. Thanks for taking part Marit.